Microsoft Classroom has many features and benefits, bringing the full force of Office 365 suite (including online versions of Word, Powerpoint, Excel, as well as Outlook, Group Conversations, and, the jewel in the crown of Microsoft’s education offerings, OneNote Online), as well as the installable, full-blown versions of these products. Assignments can be set and students can submit work created in Word on their computer or the Word Online version and then share a link back with the teacher. Assignments can be “turned in” by students, then graded by the teacher, who simply has to access each student’s assignment in one place and then add notes and a grade. All assignments end up in the Classroom Outlook calendar, which is a component of the MS Classroom. Microsoft OneNote Class Notebook – This provides access to the premier Classroom resources for staff and students. It can serve a variety of purposes, such as a jointly-managed ePortfolio for student work, a way to disseminate assignments created in Classroom, as well as any handouts (a.k.a. Content Library) materials created by the teacher that the students can copy to their own section. This student section is specific to each student and only the student and teacher have access. Furthermore, Class Notebook features a Collaboration space where students can work together on documents and whiteboards. Students can use a Cornell Notes Planner and fill it out. The teacher can share a copy of a PDF or document (e.g. quiz, graphic organizer) and students can fill it out by hand using a stylus and tablet. The teacher can snap a picture of a form or insert a PDF version as a print-out of a document, then share it out to students for completion. Also, students can do the creating for peers and their lead learner, the classroom teacher. As a teacher, you can create and grade assignments (wow!) from within OneNote Class Notebook that get sent (or synchronized) to your connected Learning Management System (LMS), such as Microsoft Classroom. Make a change in MS Classroom assignment for a grade, and it gets adjusted in the Class Notebook. 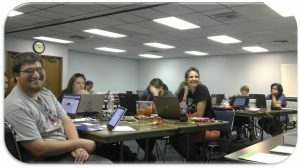 Participants at TCEA MIE Teacher Academy in Wichita Falls, Texas. Sign up at an upcoming session near you! Online versions of the Office Suite – This includes a variety of tools, such as Word Online, PowerPoint Online, and Excel Online. Microsoft Office Mix – This turns on many great features for both students and educators alike, enabling them to add audio, video, screencasting (great for flipped classrooms! ), and more into interactive elements. Microsoft Snip – Quickly capture images of your device (a.k.a. screenshots) and then annotate them with audio, highlighting, and text. To see MS Classroom and OneNote Class Notebook in action, check out these videos for a walkthrough. Setup and explore the MS Classroom environment. In this quick 10-13 minute video, we explore Microsoft Classroom and set up a classroom from scratch. MS Classroom Big Picture View. In this video, explore MS Classroom and its various aspects. We take a quick look at Assignments and Calendar. 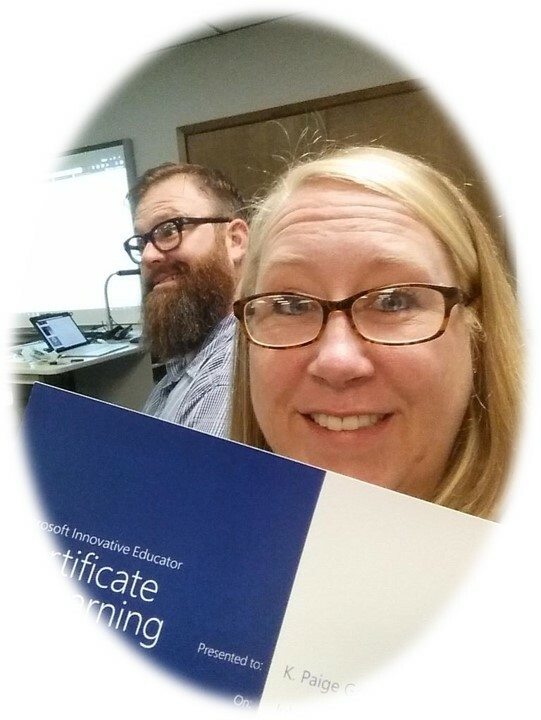 We’ll begin exploring Class Notebook and how it interfaces with MS Classroom. MS Classroom and Connecting OneNote ClassNotebook. In this, we look at Class Notebook in more detail, including how to connect your Class Notebook on OneNote 2016 to your MS Classroom Learning Management System (LMS) (as well as others). That way, when you record grades in Class Notebook, they are reflected in your MS Classroom Assignments area, and vice versa! Be sure to stay tuned for even more video walkthroughs!